Ninja Gaiden, Atelier, Dead or Alive, and more cross-over. Koei Tecmo announced Musou Stars, a cross-over action game bringing together the characters from across its lineup of titles, for PlayStation 4 and PS Vita during the 2016 PlayStation Press Conference in Japan. It will launch in Japan in 2017. 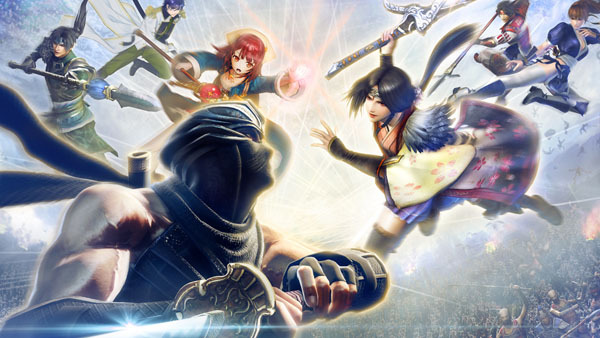 Showcased in the teaser trailer include Ryu Hayabusa from the Ninja Gaiden series, Oka from the Toukiden series, Sophie from the Atelier series, Sanada Yukimura from the Samurai Warriors series, Zhao Yun from the Dynasty Warriors series, Hajime Arima from the Harukanaru Toki no Naka de series, and Kasumi from the Dead or Alive series.